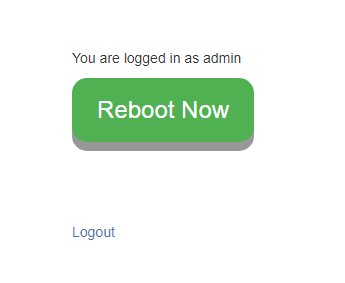 AMBED on remote server will have a remote php RESTART function if error occures in the future. The AMBE service at remote raspi has been restarted, transcoding back to normal. 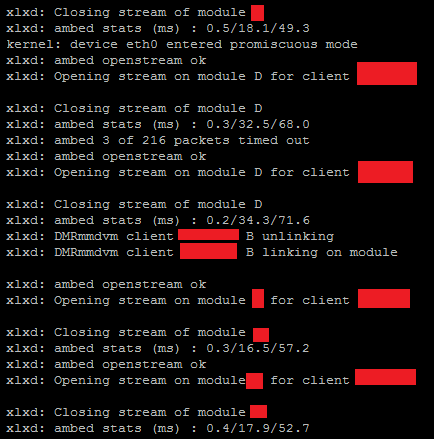 AMBED at remote site seems to have problem (packets lost - ambed 11 of 18 packets timed out) and may need to restart, M0HIK/9M2TPT is on the way flying back, rest assured and bear with us. 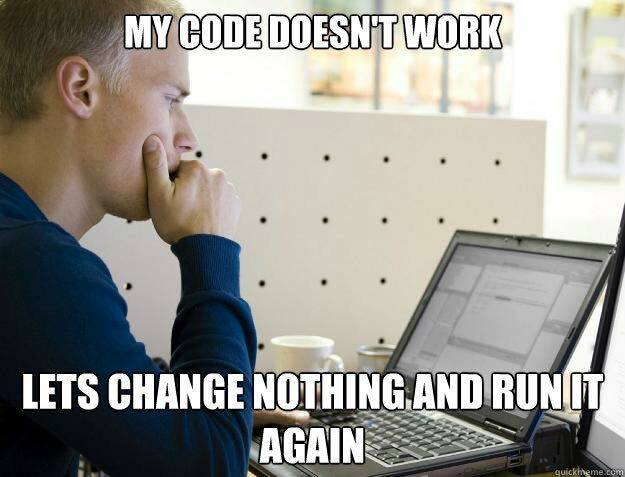 Convert DMRIds.dat to MySQL database. Reprogram reading name and callsign (indexed) from MySQL and decreased loading time (by 200%) significantly. Name and CCS7 ID are added into the XLX dashboard user module with DMRIds.dat CSV database. Country with Flags function is added into the XLX dashboard peers module. XLX522 Reflector is added in the xrefl directory listing. 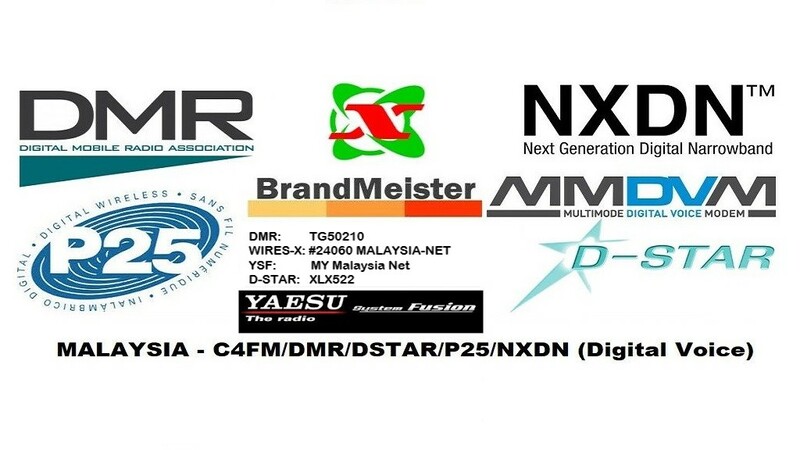 DMR/DSTAR/C4FM transcoding tested successfully with 9M2CJ(DSTAR), PA3FRI(DSTAR), 9W2POP(DMR), 9M2TPT(WIRES-X). Recompile XLXD binary to support module A to Z.
XLX Reflector Linking to BM5021 with the help of 9W2POP and 9M2TPT. Once you have joined your desired Module, you can transmit on 502/525 by using TG6 (group call) on your DMR HT to transmit. Modules A-Z: D-STAR, DMR, Transcoding BM-TG50210, BM-TG525 linking reflector, please email for peering.